If you are running a website or a blog, you know optimizing images in your website gives your visitors a good browsing experience as well as goes easy on your hosting bandwidth consumption. Smush.it was a great little utility created by Stoyan Stefanov and Nicole Sullivan. It was available on the web and as well as a Firefox Extension and even as a bookmarklet. Smush.it uses optimization techniques specific to image format to remove unnecessary bytes from image files. It is a ‘lossless’ tool which means it optimizes imahes without changing their look or visual quality. After Smush.it runs on a web page it reports how many bytes would be saved by optimizing the page’s images and provides a downloadable zip file with the minimized image files. 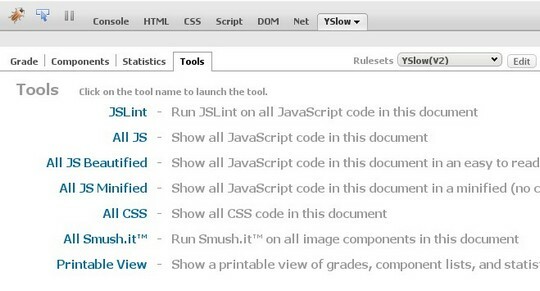 On April 29 2009, Smush.It was accepted into Yahoo’s family of developer tools. Since then, Smush.it has been integrated into the YSlow Firefox add-on that integrates with Firebug extension. YSlow is an excellent add-on by itself that analyses a website and suggests improvements that can be made to speed up your page loading time. You can also use Smush.it from this Yahoo Smush.it page by specifying the image url you want to optimize. Smush.It is also now available as a WordPress plugin and I love the way it works. After the plugin is installed, every image you add to a page or post is run through Smush.it automatically. Just for this reason, every WordPress site needs to have this excellent plugin installed! You can also run your existing images through Smush.it via WP Media Library age and run Smush.it anytime. Smush.it can be an excellent tool in a webmaster’s arsenal and I am going to add this to the Top WordPress Plugins page. Now, lets go smush those hefty images now! I like it!! I normally use http://www.myimager.com – thanks for the find! Optimizing the images with smash is great utility as it wil make ur data transfer more and more time beneficial. We are just trying to transfer the images but they couldnt be mailed easily so we just optimised it by smash. we also used it to write the cd dvd in well and optimised way. .-= Emo´s last blog ..Emo can be short for “emotional.” =-.